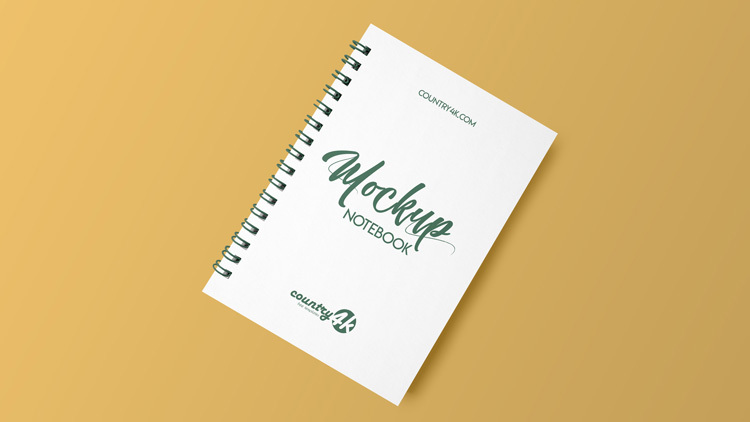 In our today’s update, we present Free Spiral Notebook MockUp in 4k. Clients will appreciate the photorealism of the mockup, and the high resolution of 4k will help you to create a high-quality presentation. PSD mockup is easy to edit thanks to smart objects. Change the color of the spiral, notebook and background to your style. Show your logo, pattern, sketch or other design with the help of our mockup and you will be satisfied with the result.